I picked up Jaxson and he is a great foster dog!! He gets along well with all of my pack, and learned the doggie door on one try!! He's a wonderful dog and will make a wonderful pet for some lucky family!! Contact foster dad Bill at youcalltheshots@mac.com for more information!! Jaxson #16975 is from the Carrollton Shelter, and was in danger of being euthanized there before he was transferred to the Euless shelter. That would have been to horrible because this young guy is so special. He appears to be around one year old, and is extremely sweet and friendly. He also loves to play, gets along well with other dogs, and is just a happy boy. Jaxson weighs around 50 pounds, so is a good medium size. He needs some leash training, but is smart, so will learn quickly with some patience. He is neutered and ready to go to his new family for the holidays. 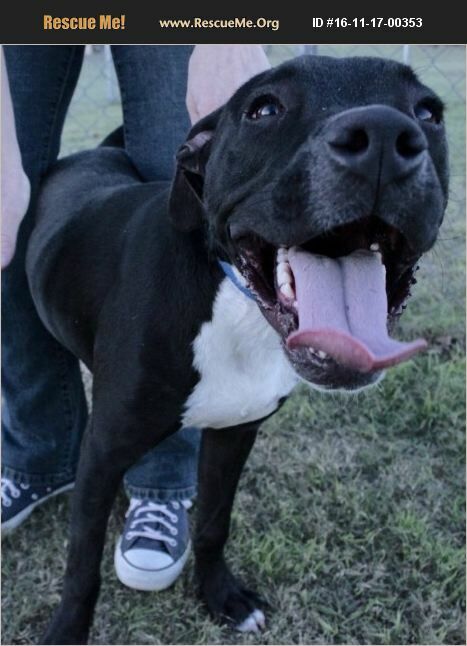 Please consider adopting Jaxson because this baby has been in a shelter since September. He deserves a chance at a happy and loving home.